Myrtle West will surround you with charm, elegance and Southern hospitality. One of Tom Jackson's newest designs, the layout offers a wide variety of challenges. 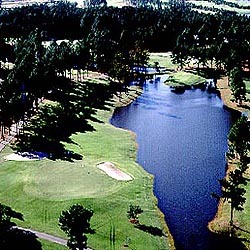 Water, sand and tall Carolina pines will all challenge your game. Myrtle West has achieved a reputation for maintaining the facility in impeccable condition.